A curb-appealing combination of distinction and contentment. Simultaneously rustic, resonant with coastal charm, durable and low-maintenance, Portsmouth™ Shake & Shingles Siding is rich with everything you could wish for in a main or accent siding. Extraordinary attention to detail that takes care of itself. Whether it covers the main section of your home or amplifies curb appeal as a refreshing accent, our Board & Batten Siding is a deeply charismatic change of pace. All of that charm and dimension is reinforced by strong weatherability, rugged durability and reliable low-maintenance – practical benefits that are highly attractive in the long run. CraneBoard® Solid Core Siding is innovative thermal resistance and low-maintenance technology wrapped in a powerful curb appeal. One look is all you need to feel its authentic cedar grain presence. Whether you seek to express a clean, contemporary look, amplify the elegance of your home style or convey something more traditional, CraneBoard® Solid Core Siding® gives you true design flexibility, while protecting your home from moisture, noise, weather, wear and tear. Elm Grove™ Siding conveys the character of real wood, while exhibiting rock-solid durability, weather endurance and low maintenance. In other words, it’s every bit as practical as it is aesthetically pleasing. With its wide range of colors, carefree upkeep and rugged wind resistance, Elm Grove™ embodies well-thought-out design that stands up to the demands of time. Installed on over 8 million homes from coast to coast, James Hardie® fiber cement siding products are designed to resist the most extreme condition while romancing the senses. Enjoy the warm, natural character of wood with unprecedented peace of mind. 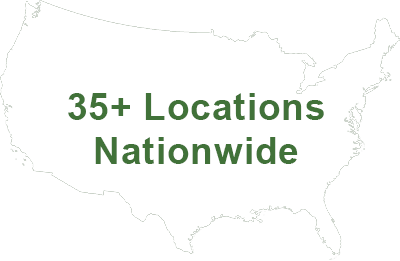 It’s easy to see what makes James Hardie® the market leader.